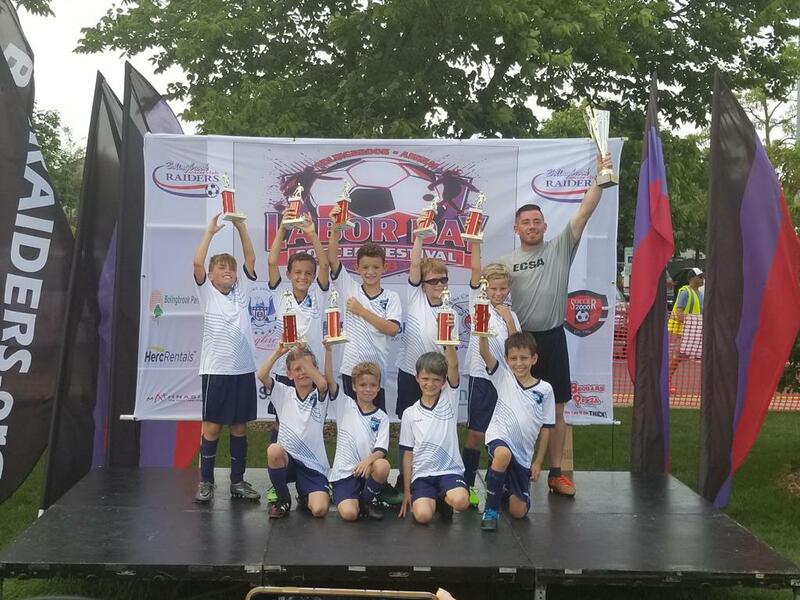 Elmhurst City Soccer Association is our signature travel club program for those players who want even more soccer in a very competitive environment. ECSA will field teams from U8-U12. ECSA girls' teams play in IWSL and boys' teams play in YSSL. 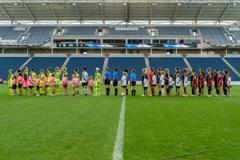 These are among the more competitive leagues in Illinois. Practices are twice a week with one ECSA game on the weekends and one local AYSO game. We have two Tuesday April 16th that we would love to see you attend. ECSA Information Night will be at Salt Creek Park from 5 pm to 5:30 pm. Are you interested in finding out why ECSA is the best local option to begin playing club soccer? Are you curious about whether club soccer is right for you and your player? Do you just want to see how we run things and decide whether to switch to our club? Then this is the night for you to come find out about our program, meet our coaches and administrators, and ask as many questions as you want. Even if we run out of time, our admins will stick around for over an hour to answer any other questions. Red Stars Clinic from 5:30 to 6 pm at Salt Creek Park. 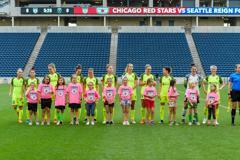 After the ECSA information meeting, there will be a clinic with a player from the Chicago Red Stars, the WPS Professional Team in Chicago. All female players are welcome to attend, whether or not they are in our programs. There will be a short session and a meet and greet. Come on out and meet these great female role models. AYSO Region 399 is excited to announce our new logo for the Fall 2017 season! The Logo will be prominently displayed on the right shoulder of all uniforms and will be featured on our website and communications. We have many open positions please think about volunteering. We are always looking for more volunteers to help us out with the current and new programs. The more volunteers we have, the more things we can offer. There are lots of exciting things on the horizon, get in now and you can help decide our direction! Please contact our volunteer coordinator Joe Clear if you are interested. We have positions that require virtually no time all the way up to positions that require all of your time, we can fit you in anywhere! 20% off voucher for Referees! U19, U14, U12, U10 and U9 Referees will receive a 20% off voucher for every child they have in the program if they referee 8 games or more a season. This is a new addition to our program so all current U19, U14, U12 and U10 referees will receive a voucher for next season if they submit game cards. If your team doesn’t have a referee or you would like to become a referee, we will offer this voucher to you as well if you get trained and referee 3 games this season. We are offering this voucher for U8 and up. Volunteer to be a referee on your Blue sombrero account and SIGN up to be trained. THE PRESENT AYSO 399 BOARD OF DIRECTORS IS TOO SMALL TO CONTINUE TO OFFER A PRODUCTIVE PROGRAM FOR YOUR CHILDREN. WE NEED TO ADD MORE INDIVIDUALS TO THE BOARD SO THAT AYSO CAN CONTINUE TO THRIVE IN ELMHURST. NOW IS THE TIME TO JOIN THE BOARD SO THAT YOU CAN LEARN FROM THOSE WHO HAVE BEEN ON THE BOARD FOR MANY YEARS. MOST OF THE BOARD MEMBERS DO NOT HAVE CHILDREN IN THE PROGRAM OR HAVE CHILDREN WHO ARE IN HIGH SCHOOL. SOON THESE VETERAN BOARD MEMBERS MAY NOT BE AVAILABLE FOR MENTORING NEW BOARD MEMBERS. We are looking for 6 new Board members. All fees for board members children will be WAIVED If you are interested in becoming a board member, please look at the list of available positions below. All applicants are subject to an interview. We are a working board and members are expected to complete tasks related to their position as well as helping out other members when needed. We are a volunteer organization, but we understand that time is valuable. MUCH OF THE WORK IS ABLE TO BE DONE ON YOUR OWN TIME AND THERE IS ONLY ONE MONTHLY BOARD MEETING. We are offering to WAIVE fees for current and new board members in an effort to make our league stronger and more efficient for everyone. Information about birth year from USSF.